The desire of Nigerians in many cities to buy petrol at N145 per litre may not materialise anytime soon, an investigation has shown. Findings by an undercover PREMIUM TIMES reporter, who posed as a potential oil marketer at several Lagos fuel depots, also revealed that the lingering fuel scarcity may continue into the New Year. Oil depots are where large quantities of petroleum products are stored for onward lifting and distribution by marketers to consumers. Many of the depots, managed by major oil marketers, did not sell fuel at the time of visit as they claimed they had no stock. Others who had the product sold at wholesale prices far above the N133 quoted by the Nigerian National Petroleum Corporation. NNPC’s boss, Maikanti Baru, stirred controversy last week when he revealed that the landing cost of petrol had risen to N171 a litre, meaning the government had been subsiding petrol to sell at the approved N145. Mr. Baru said on Friday President Muhammadu Buhari authorised the corporation to subsidise the product for Nigerians. The NNPC, he said, currently sells to marketers at N133 and expects them to sell to Nigerians at N145. 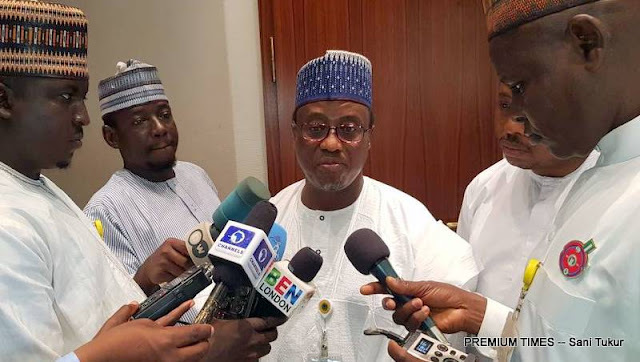 The NNPC boss also blamed the oil marketers for the fuel scarcity, accusing them of “hoarding” and “diverting” the product to frustrate Nigerians. il marketers deny responsibility for the scarcity, attributing the crisis to the emergence of the NNPC as the sole importer of fuel. The disagreement has continued to drag for weeks and has worsened the petrol crisis. Most filling stations selling fuel across the country do so at prices far higher than NNPC-authorised price of N145. In response, the Department of Petroleum Resources has closed many stations for selling above the approved price. In some states, the department has dispensed fuel free to motorists as punishment againt errant marketers. But marketers of petroleum products have argued that the N145 price is not realistic as they buy fuel far higher than N133 from the depots. “The fault is not with us, it at the points where we load products; as I am talking to you I bought the products I am selling now at N235 and the content was short of 1,800 litres after it was discharged and I have paid,” Cletus Obiokafor, who is the chairman of oil marketers in Anambra State, said last week.